London, 17 March 2010 – The online and interactive software supplier subsidiary of the largest privately held land gambling group in France – Groupe Partouche – has successfully achieved accreditation by the independent standards and player protection body eCOGRA. Partouche Technologies, which is based near Tours in France, is the software supplier of Groupe Partouche Interactive Gibraltar Limited, and under the management of Chief Technical Officer Nathalie Pereira develops or contracts Internet and iPhone games suitable for the online casino, poker, skill games, scratch cards, mobile and sports betting operations of the group. 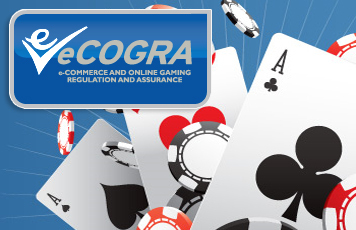 The company’s online casino software has been awarded the eCOGRA Certified Software seal following extensive onsite testing, inspection and monitoring by eCOGRA compliance teams. Further accreditation for poker operations will be sought once in-house developmental activity on this gambling genre has been completed. Mms. Pereira said that the exhaustive eCOGRA assessment has been a valuable exercise for her management team, formalising systems and improving some areas of business activity, and confirming that others met the best international standards for best business practice. In addition she has commissioned eCOGRA’s services to provide monthly casino payout percentage and RNG reviews, and monthly poker RNG reviews, using live data. Shaun McCallaghan of the eCOGRA compliance team which carried out the inspection and assessment said that Partouche Technologies had been well organised, professional and committed to further improvement, collaborating enthusiastically with the eCOGRA team. eCOGRA chief executive Andrew Beveridge congratulated Partouche Technologies and said that accreditation was only achieved following a rigorous on-site inspection, which encompassed every aspect of the company’s software development activities, and was followed by sustained monitoring and annual reviews. Situated near Tours in France, Partouche Technologies is the software supplier of Groupe Partouche Interactive Gibraltar Limited, a subsidiary of the major land gambling Groupe Partouche (http://www.partouche.com/), the largest privately held gambling company in France. Partouche Technologies develops or contracts Internet and iPhone games suitable for Partouche Interactive’s online activities in casino, poker, skill games, scratch cards, mobile and sports betting.